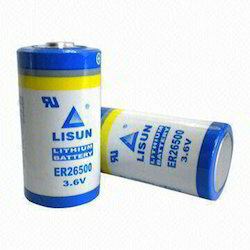 Prominent & Leading Wholesale Distributor from Pune, we offer lisun er 26500 lithium battery, maxell er3s 1/2aa 3.6v lithium battery, mitsubishi er 17330v a6 bat 3.6v lithium battery, toshiba 1/2aa er 3v/3.6v lithium battery for cnc plc, toshiba er17500 3.6v lithium battery brown fanuc connector and toshiba er6c aa 3.6v lithium battery brown fanuc connector. 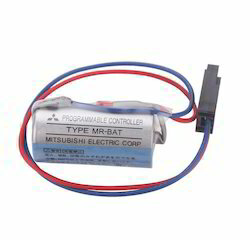 Scope of application: Mitsubishi mechanical equipment, alarm system, PLC memory back-up power source, a servo motor, numerical control system, instruments and other electronic products special for lithium battery. 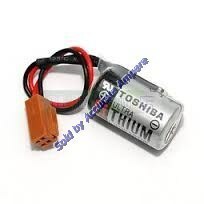 Toshiba ULTRA LITHIUM batteries are most suitable for use over a long period of time, such as for backup of CMOS/S-RAM memory. 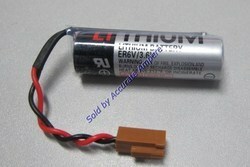 Toshiba ULTRA LITHIUM batteries have a highest energy density made possible by the use of highly active thionyl chloride as the positive active material, in conjunction with Toshiba's unique carbonaceous electrode. 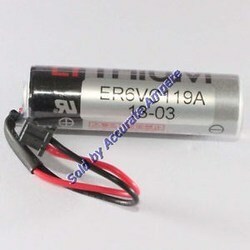 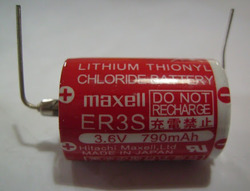 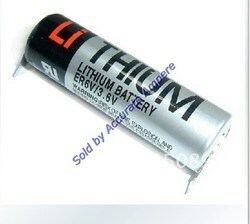 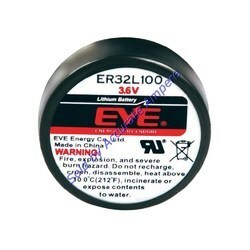 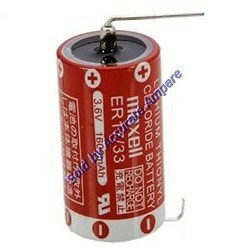 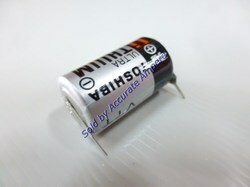 Can be used in an extremely wide temperature range, a feature that has not been possible with other batteries. 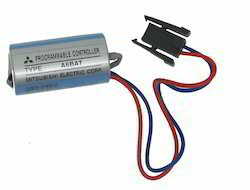 Adoption of complete hermetic sealing by laser weld sealing and an extremely small self-discharge, assure high reliability for long period. 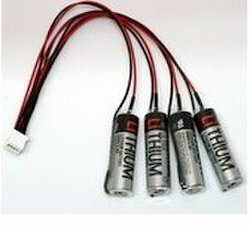 Lead wire length (in) 1.97"
Main application instruments PLC, CNC,TPMS,electric meter etc. 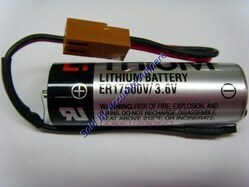 Categories LISOCL2 CNC & PLC Machines Batteries, Toshiba. 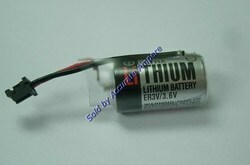 Looking for LISOCL2 LITHIUM BATTERIES FOR CNC AND PLC ?